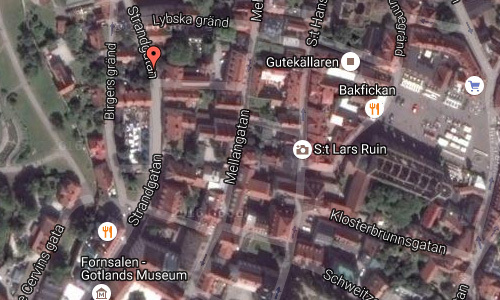 Strandgatan is a street in the old centre of Visby, the main city on the island Gotland in Sweden. 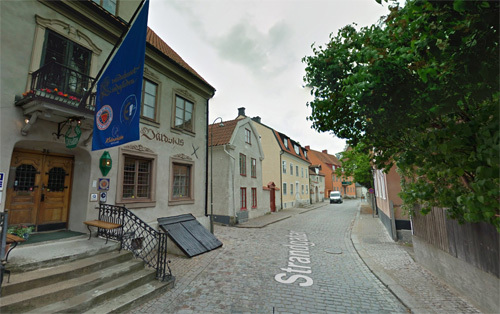 Visby is a old city on the island of Gotland, Sweden with 23,880 inhabitants, as of 2014. 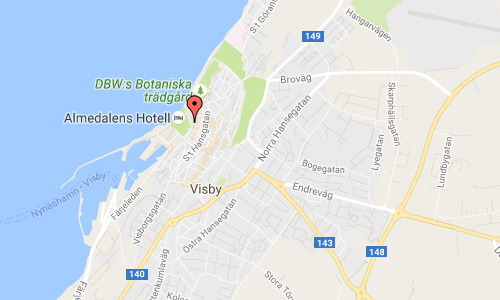 Visby is also the episcopal see for the Diocese of Visby. The Hanseatic city of Visby is arguably the best-preserved medieval city in Scandinavia and since 1995, it is on the UNESCO World Heritage Site list. Among the most notable historical remains are the 3.4 km long town wall that encircles the town center, and a number of church ruins. Visby is a popular vacation destination for Scandinavians during the summer and receives thousands of tourists every year. 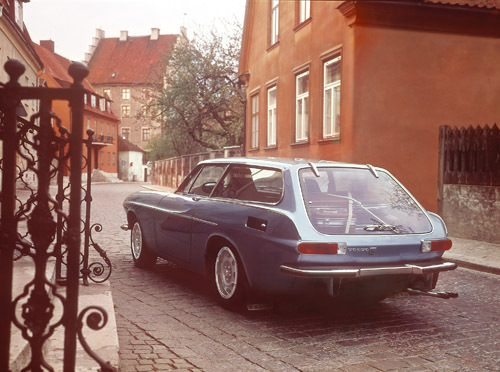 It is by far the most populated locality outside the Swedish mainland. 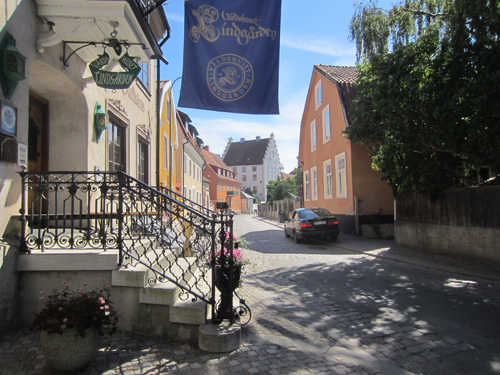 The University of Gotland is in Visby, and since 1 July 2013, it is a department of Uppsala University under the name Uppsala university–Campus Gotland. On the left you see the well known Värdshuset Lindgården, a populair and traditional place to eat. More information at sv.wikipedia.org, www.lindgarden.com and www.gotland.net.